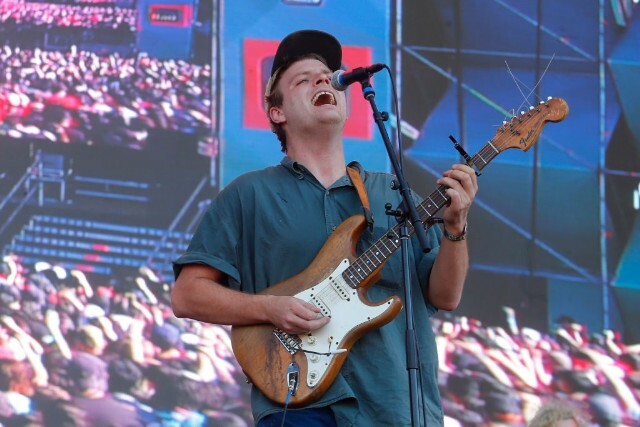 Mac DeMarco has been a vocal supporter of Yellow Magic Orchestra and Ryuichi Sakamoto’s music for years. In 2014, he told Zero Magazine that he’d been “exploring all the offshoots” of the influential Japanese electronic band. Now, DeMarco has released a cover of YMO/Happy End alum Haruomi Hosono’s 1975 track “Honey Moon.” DeMarco’s version of the song was put out by reissue label extraordinaire Light in the Attic, who is releasing a series of Hosono’s solo albums in the United States for the first time. DeMarco launched his own label, aptly titled Mac’s Record Label, earlier this month. Listen to DeMarco’s rendition of Hosono’s song below.